I kid you not, my sister’s first full sentence was, “More cheese, please.” Her love of cheese definitely runs in the family as both my mother and I are also fanatic about the dairy product. National Cheese Lovers Day was clearly created with people like us in mind. Although hundreds of cheeses are produced worldwide, the basic foundation of cheese making is the same. Most commonly, the milk (from buffalo, cows, and goats) is acidified, and when the enzyme rennet is added, coagulation occurs. The solids are then separated and pressed to make the desired shape and form. The varying flavors, styles, and textures of cheeses are a result of the origin of the milk from which the cheese is created, and what the milk has been through on its way to becoming wonderful cheese. The animal’s diet, the butter fat content, whether or not the milk has pasteurized, the presence of bacteria, the processing, and the aging all affect the final cheese product. While most cheeses are acidified by bacteria that convert milk sugar into lactic acid before the addition of rennet to aide in curdling, some cheese is curdled by adding acids like lemon juice or vinegar. No matter how it’s prepared, however, cheese is a great source of Calcium, Fat, Phosphorus, and Protein. It also has a long shelf life; especially if the cheese is wrapped in a protective rind. 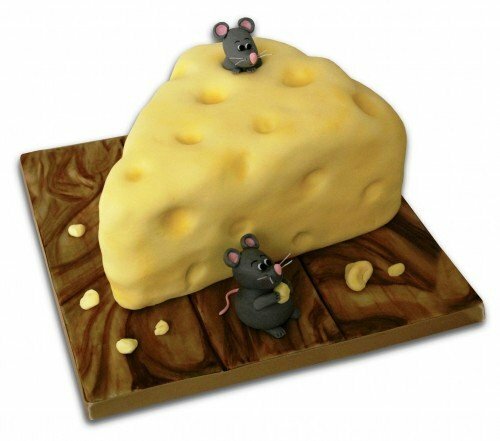 Cheese has been found to be a benefit in achieving weight loss, healthy blood pressure, and normal blood sugar levels. After comparing individuals who ate three servings of cheese per day to those who ate five servings, a study at the Curtin University of Technology in 2009 concluded that the increased consumption of cheese resulted in lowered blood sugar and blood pressure, as well as the reduction of abdominal fat. But the benefits of cheese don’t stop there! Cheese also helps you sleep! In 2005, the British Cheese Board conducted a study to determine the effect of cheese on sleep and dreaming. A common belief was that cheese, which contains tryptophan, caused nightmares. But the study actually found that cheese is quite good for sleep and dreaming. The majority of the two hundred people tested said they had a positive result after consuming cheeses before going to sleep. – There are over 900 types of cheeses in the world. – It has been proven that ending a meal with a bite of cheeses such as brie, bleu, cheddar, gouda, jack, and swiss helps prevent tooth decay. 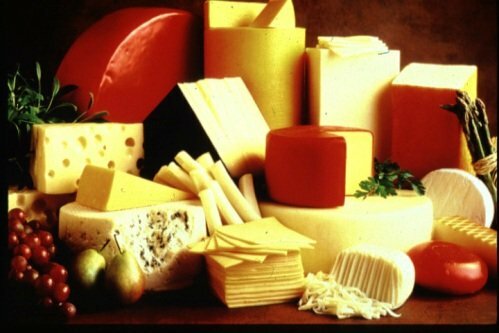 – In 2003, the United States produced a total of 8.5 billion pounds of cheese. My mind is swirling thinking of all the delicious cheesy things I want to eat in celebration of National Cheese Lovers Day. For breakfast, perhaps a four-cheese omelet with black olives and mushrooms; or maybe a couple crepes with Brie cheese and blueberry sauce. – Havarti cheese, fresh basil, sliced tomato and a little honey on pressed Panini bread. – Sharp Cheddar with Worcestershire sauce on the side. – With green apple wedges inside. – Brie with Canadian bacon and tomato on rye. – Mozzarella with sun dried tomatoes and fresh basil. – With sweet pickles on the side. A pepper-jack cheese burger for dinner sounds nice. And for dessert, a slice of cheesecake of course. Now that I know a couple bites of a mild cheese like jack or provolone before I go to bed will have a positive impact on my sleep and dreams, I can’t forget that! Happy National Cheese Lovers Day! How are you going to celebrate? This entry was posted on Monday, January 9th, 2012 at 12:23 AM	and is filed under Misc.. Both comments and pings are currently closed.